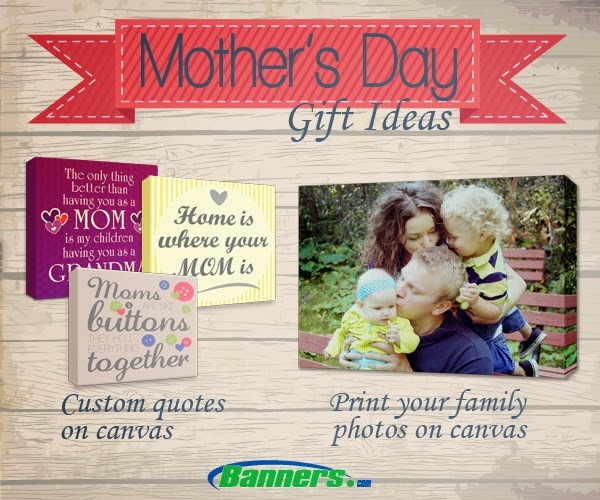 Get Your Mother A Unique Mother's Day Gift from Banners.com! If you are looking for a unique, memorable gift for Mother's Day, check out these awesome Mother's Day gift ideas! 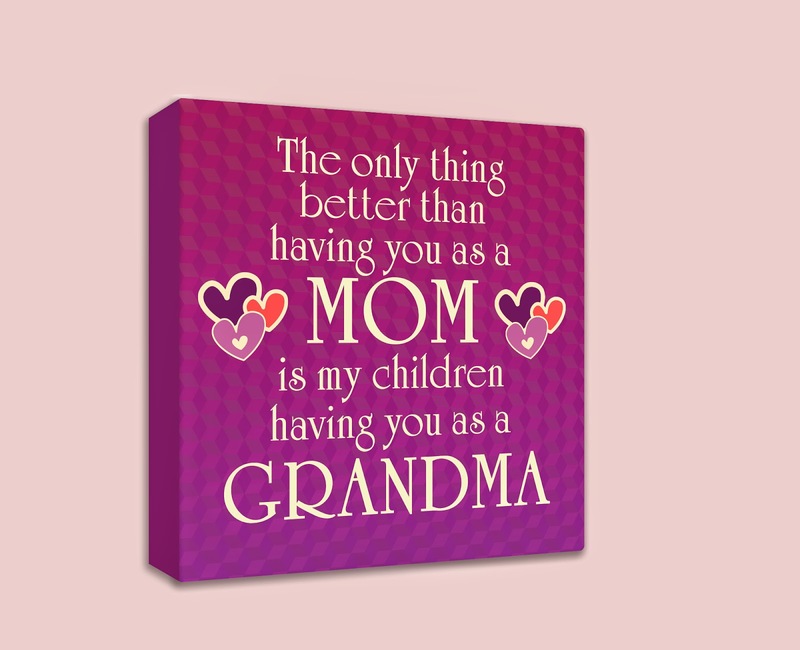 Canvas Wall Art has the look and feel of a classic painted canvas, and they make great Mother's Day gifts! If you have a photograph of you and your mom, you can turn the photograph in to a custom canvas! You can use a single photo or use multiple photos to make a collage. You can also put quotes onto the canvas. There are three ways you can order your framed canvas wall art. You can browse our templates and design online, upload your own file or work with our graphic designers. In our online designer, you can add backgrounds, clip art, text and upload photographs. If you are looking to make a canvas with a photograph, the best way to order is by working with one of our graphic designers. They can help you with the pictures, adding text and backgrounds for the canvas. Wall Graphics are commonly used to decorate the interior of your house. They can also be used as a Mother's Day gift! You can get a custom quote printed. One common quote is "Home is Where Your Mom is." There are three ways you can order your custom wall graphics. You can customize a template, upload your own files (best for square cut wall graphics), or you can work with a graphic designer. If you want the words to be cut out, it is best to work with a graphic designer to make sure that the cut paths come out correctly.